Advantech (stock symbol: 2395), a leader in the global intelligent systems market held its first IoT Co-Creation Summit at Suzhou International Expo Center. 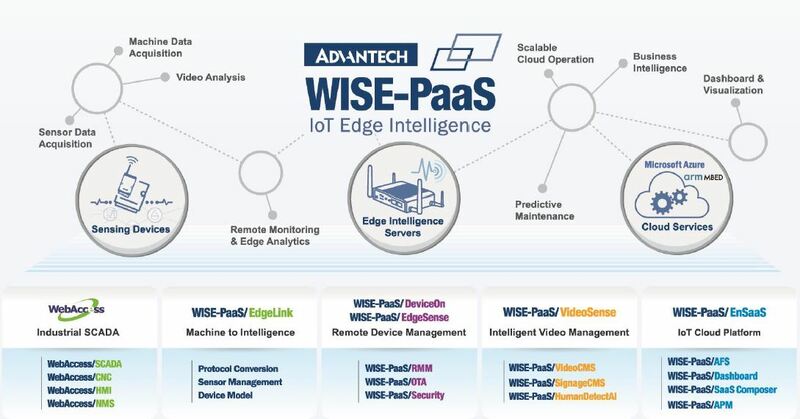 During the summit, Advantech introduced new features for WISE-PaaS 3.0 and shared a number of IoT solution ready packages (SRPs), based on WISE-PaaS, developed with numerous co-creation partners. The company also outlined future co-creation strategies and schedules for the upcoming year. WISE-PaaS/SaaS Composer: a cloud configuration tool with visible workflow. WISE-PaaS/SaaS Composer supports customized component plotting for simple and intuitive 3D modeling application and interaction. It updates views at millisecond rates, and, together with WISE-PaaS/Dashboard, presents critical management data in a visually intuitive display to help extract valuable data and improve operational efficiency. WISE-PaaS/AFS (AI Framework Service): an artificial intelligence training model and deployment service framework. The WISE-PaaS/AFS provides a simple drag and drop interface that allows developers to quickly input industrial data. When combined with AI algorithms, the service builds an effective inference engine with automatic deployment to edge computing platforms. AFS offers model accuracy management, model retraining, and automated redeployment. It simultaneously controls multiple AI models in the application field; offering automated model accuracy improvements and life-cycle management services. WISE-PaaS/APM (Asset Performance Management): an equipment network connection remote maintenance service framework. 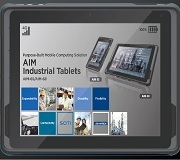 WISE-PaaS/APM connects to a wide array of on-site industrial equipment controls and communication protocols. It supports the latest edge computing open standard, EdgeX Foundry, and includes built-in equipment management and workflow integration templates. 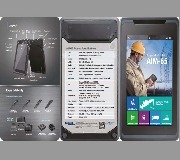 Jointly with the AFS, APM accelerates Machine to Intelligence (M2I) application development. Microservice development framework: WISE-PaaS contains a micro service development framework to help developers rapidly create program design frameworks while reducing development requisites. Micro service functions, such as service finding, load balancing, service administration, and configuration center, all offer built-in flexible support mechanisms. Advantech’s proficiency with cloud data processing and application development, coupled with partner expertise, forms a potent combination of OT and IT that facilitates optimal data collection, management, and analysis. Starting this year, co-creation projects in a number of fields were undertaken with the participation of domain-focused solution integrators (DFSIs). Advantech recently established a water treatment system, jointly developed with GSD (China) Co., Ltd., and a CNC equipment remote operation service, jointly developed with Yeong Chin Machinery Industries Co. Ltd. Both partnerships demonstrate how industrial digital transformations, led by Advantech and its partners through the co-creation model, offer innovative win-win IoT solutions.